SPRING CLEAN-UP WEEK IN THE BOROUGH WILL BE APRIL 22 THROUGH APRIL 27. HOURS AND RULES ARE POSTED AT THE BANK, POST OFFICE AND MINIMART ON 8TH STREET. 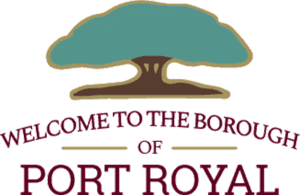 Welcome to the Port Royal Borough website, we are currently adding content. Check back soon for updated information! 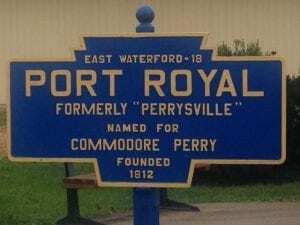 PORT ROYAL MILITARY MEMORIAL BANNER PROGRAM APPLICATIONS ARE AVAILABLE AND CAN BE PICKED UP AT THE BOROUGH OFFICE MONDAY THROUGH THURSDAY, 9 TO 3. NEVER TOO EARLY TO PLAN: Please plan to get vehicles off the streets and alleys during snow storms this winter. The Borough will plow as quickly as possible during and after snowfall. Plowing around vehicles will prevent efficient snow removal and it will plow the vehicle into wherever it is parked, and you will need to dig it out. Thank you in advance for your cooperation.